Chris Trapani founded Sereno Group with his childhood friend Ryan Iwanaga in 2006 with a goal to break from the large-scale agency model in favor of offering every client the expert and personalized service that would make a positive difference in their real estate experience. Today, the firm has 365 agents in eight locations in Northern California doing $3.5 billion in annual sales – an average of more than $10 million in sales per agent. To make sure its agents stay at the top of their game, Sereno Group provides access to leading trainers and coaches, provides cutting-edge tools and resources at little to no cost, and an in-house marketing studio with four designers and two project coordinators on staff to assist agents in producing upscale collateral. 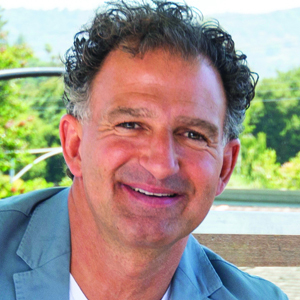 Trapani also spearheaded the “1 Percent for Good” program, committing 1 percent of the firm’s gross revenues to environmental causes and to charitable or community-minded groups in the areas the company serves. Last year, Sereno Group gave $516,000 to 28 separate causes, making it one of the top 35 corporate givers, according to the Silicon Valley Business Journal. “We are determined to eclipse $1 million a year in charitable giving,” Trapani says.